Australian politicians, like their counterparts around the world, are not immune to the odd ‘oversight’. Indeed, former premier of New South Wales (NSW) Barry O’Farrell was forced to resign after failing to declare a 3,000 AUD bottle of wine he received as a gift in 2014. With the advent of data journalism – that is journalism linked closely to numerical analysis and statistics – the actions of politicians can be more closely scrutinised than ever before. NSW politicians are required to declare interests that may influence their decisions in Parliament in a ‘pecuniary interests register’. These may include business interests, gifts, investments, shares, directorships, pricey bottles of plonk etc. However, the NSW pecuniary interests register was not easy to scrutinise. Half of the register had never been made available online. While the other half was a jumbled mess of (often handwritten) PDFs. To view politician’s interests in their entirety, it was necessary for members of the the public to go to Parliament and view the register in hard copy. None too convenient! To improve transparency, journalists wanted to create an open, machine-readable database of the interests register for the 2013-14 financial year. 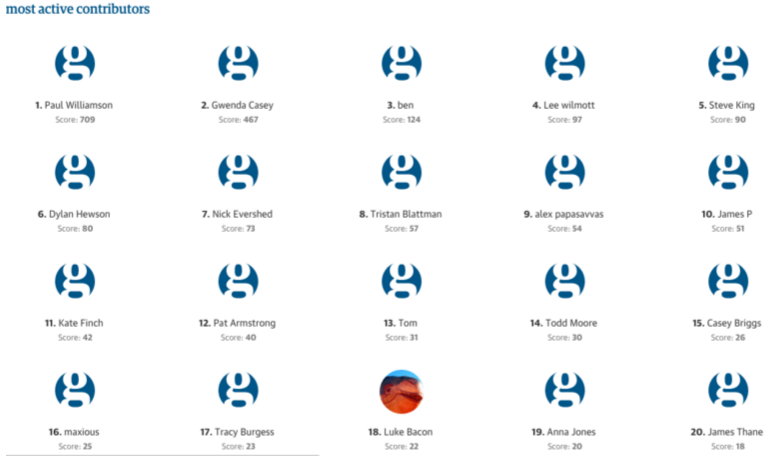 Using PyBossa’s PDF data mining capabilities, they imported scans of the PDFs into a PyBossa platform and set up tasks asking Guardian readers to extract information from the documents. This was the first project of its kind in Australia at a state, rather than federal, level. A similar project had been set up by the UK Guardian in the wake of the 2009 expenses scandal. Guardian readers transcribed the entire pecuniary interest register in less than three weeks. Around 50 contributors completed more that 1,700 tasks and flagged entries that warranted further investigation. The resulting database may be viewed here. Photo by Nick Evershed A ? “We cross-referenced [the politician’s] entries with property titles and company register information to reveal politicians who had failed to declare directorships, and investment properties, which contravenes rules around political transparency in NSW”. Analysis of the register revealed that two politicians had failed to comply with transparency rules. Fair trade minister Matthew Mason-Cox omitted references to a directorship and shareholding in a superannuation trustee company co-owned with his wife. While NSW Liberal party whip, Chris Paterson, omitted to mention a property that he owned. This project illustrates how data journalism and crowdsourcing can combine to extract information from publicly available sources that are difficult to scrutinize, that can then be used to hold organisations and individuals to account. Both PyBossa software and the Crowdcrafting platform have easy-to-use PDF data mining templates. So if you’re suspicious about your local MP’s Lamborghini, you know where to begin your detective work!